ALLPCB Community is the most professional community in electronic industry, helping thousands of engineers, makers and hobbyists solve their PCB, PCBA, Electronic Components problems. ALLPCB Community aims to offer valuable information, quick response to your questions, give you the chance to communicate directly with electronic experts. Operation in ALLPCB Community is very easy! Here is an operation manual for your convenience. 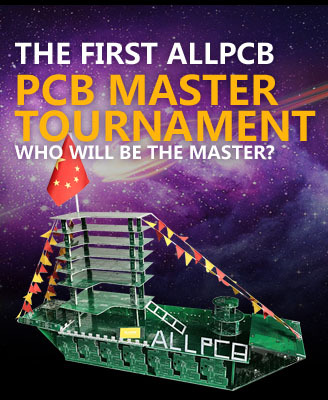 The account can be used both in ALLPCB.com and ALLPCB Community. You can do a lot of things in ALLPCB Community, such as post a thread or reply and create groups. Please complete your personal profile. Here you can earn points. Click the number, then you can check all the existing groups. You can join the existing groups, which you are interested in. Before you join the group, you can only check all the threads and replies in the group. After you join the group, you can also post a new thread or reply. 1) If you want to post a thread in one group, you must join the group first, as mentioned above. 2) You can enter your keywords to search for a thread. “Search In“means search in the current group. “Search All“means search in all the groups. ALLPCB Community welcomes you to post your reply for any thread you're interested in. Your efforts are high appreciated. Meeting certain conditions, you are able create your own groups,provided that there is no similar group existed. As a group owner, you may have more rights. Meanwhile, you are responsible for all the threads and posts in your group. Any question, please contact us at community@allpcb.com.